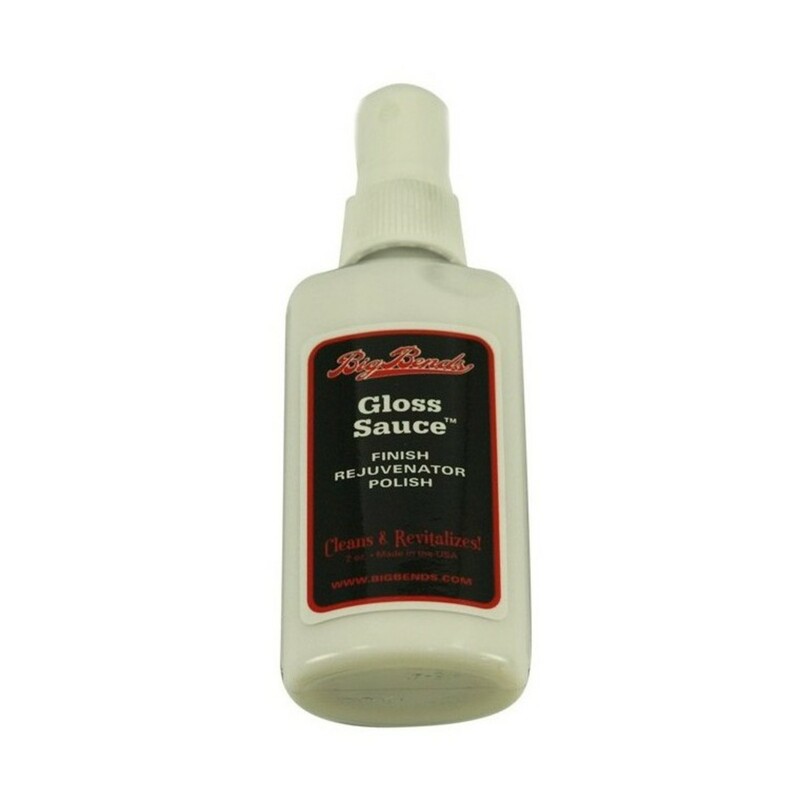 Big Bends Gloss Sauce Polish is the ultimate way to rejuvenate the finish on your instrument. This single stage polishing solution does away with the hassle of seperate stages of application and removal, delivering a pristine glossy finish after cleaning and polishing your instrument at the same time. Capable of cleaning everything from mud to beer, Big Bends Gloss Sauce is easy to apply, and it's non-streak formula saves you precious time whilst restoring your instrument to its former glory.